Mauritius remained the top source of foreign direct investment into India in 2017-18 followed by Singapore, whereas total FDI stood at USD 37.36 billion in the financial year, a marginal rise over the USD 36.31 billion recorded in the previous fiscal, according to RBI data. While FDI from Mauritius totalled USD 13.41 billion as against USD 13.38 billion in the previous year, inflows from Singapore rose to USD 9.27 billion from USD 6.52 billion. Even as FDI from the Netherlands declined marginally to USD 2.67 billion as against USD 3.23 billion in the year-ago period. 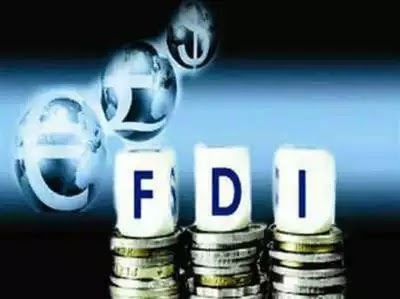 The provisional data for the financial year ended March revealed that foreign direct investment (FDI) into the manufacturing sector witnessed a substantial decline to USD 7.06 billion, as against USD 11.97 billion in the year-ago period. However, FDI into communication services rose to USD 8.8 billion in 2017-18 as compared to USD 5.8 billion. The inflows into retail and wholesale trade also shot up to USD 4.47 billion as against USD 2.77 billion, while financial services sector too witnessed a rise in inflows to USD 4.07 billion from USD 3.73 billion in the previous year. India skipper Virat Kohli maintained his top spot in the latest ICC rankings of Test batsmen, while pacer Mohammed Shami climbed up three places to return to top 20 in the bowlers' table. 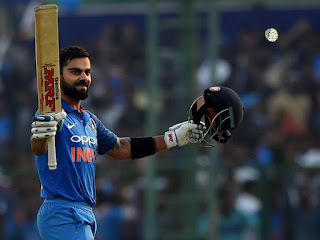 The Indian captain, who has scored 544 runs in his eight innings this series, is 11th in the list of best ever in terms of rating points, just one adrift of a group of four - Gary Sobers, Clyde Walcott, Vivian Richards and Kumar Sangakkara. Ace Indian player Sania Mirza has been honoured by Sony YAY! as part of their flagship Teachers’ Day initiative ‘Heroes Behind The Heroes’. The initiative honours and recognises the hard work put in by the teachers of global icons from diverse fields. Nandan Petrochem Limited (NPL), a leading manufacturer of genuine oils, greases, specialty oils and AdBlue/DEF announced the appointment of Alisha Abdullah India's first female racing champion as its brand ambassador, for its signature brand VELVEX, in the Lubricating oil and AdBlue segment. England's Alastair Cook to retire from international cricket. 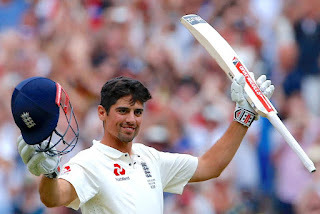 England great Alastair Cook announced retirement from international cricket after the end ongoing home series against India, with the opening batsman saying the time was right as he had "nothing left in the tank"
The 33-year-old Essex left-hander is England's all time leading Test runscorer Test runscorer with 12,254 runs at 44.88 including 32 hundreds, while his run of 158 consecutive Test appearances is a world record. इंग्लैंड क्रिकेट टीम के पूर्व कप्तान एलिस्टर कुक भारत के खिलाफ टेस्ट सीरीज के बाद इंटरनेशनल क्रिकेट से संन्यास ले लेंगे. 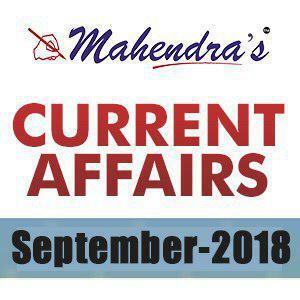 कुक टेस्ट क्रिकेट के इतिहास में सबसे अधिक रन स्कोर करने वाले छठे बल्लेबाज हैं. कुक ने 21 साल की उम्र में 2006 में भारत के खिलाफ ही टेस्ट प्रारूप में डेब्‍यू किया था. उन्होंने अपने करियर में अब तक 160 टेस्ट मैचों में 12,254 रन बनाए हैं, जिसमें 32 शतक और 56 अर्धशतक शामिल हैं. इंग्लैंड का कोई भी खिलाड़ी उनके टेस्ट रनों और शतकों के करीब नहीं पहुंचा है.